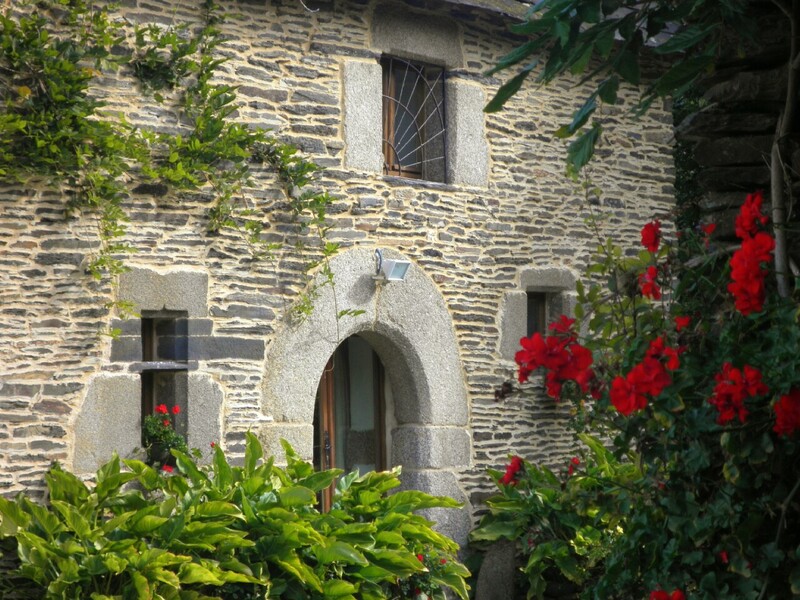 No hidden extras- our gite prices are inclusive of bed linen, towels, electricity, etc. At Les Hirondelles we offer you rural Brittany at its most enchanting: an idyllic retreat from the hurly burly of modern life where deer and wild boar roam the forests and fields and all sorts of birds nest in our garden, including the swallows which give Les Hirondelles its name, barn owls (Chouettes) and nightingales (Rossignols). The skies are clearer and bluer – or at night so very dark you’ll see so many stars that you’ll think you could just reach up and pluck one to keep! Your holiday is important to you, and it’s important to us to make sure you have a great time. After all, we’d like to see you again and again! Don’t just take our word for it – Click here & take a look at what our guests have to say! We believe that happy children make happy parents so we aim to be family friendly, and have a range of baby equipment available at no extra cost, and also play equipment and toys for all ages! Our beautifully restored 16th century Breton Farmhouse complex is in a courtyard setting surrounded by lovely gardens including our large heated pool and children’s play barn. 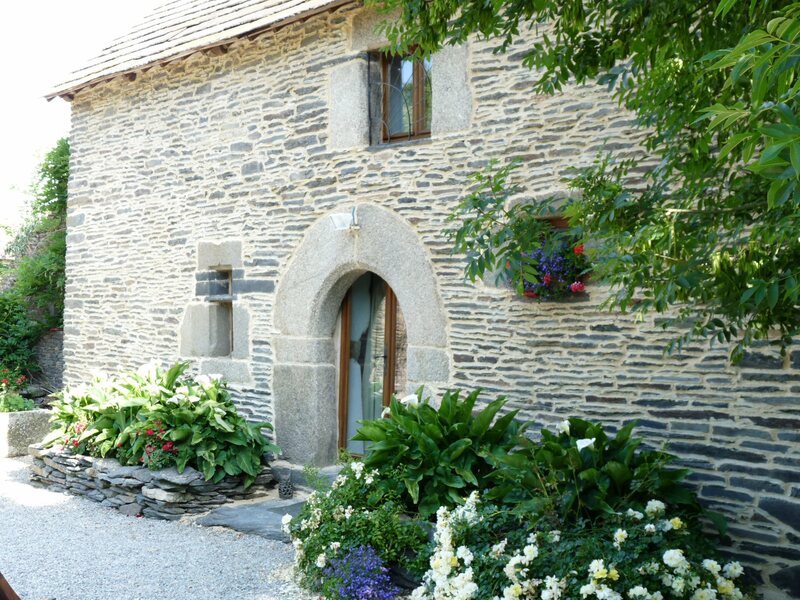 We are situated in the rural heart of Brittany in the historic hamlet of Rosquelfen very close to the wonderful Lac De Guerledan, in one of the prettiest parts of Brittany, within easy driving distance of the beautiful Pink Granite Coast to the north, or the Gulf of Morbihan to the south. Freshly baked baguettes, croissants, etc can be delivered to your gite every morning – or its only a 3 minute drive or 15 minute walk to collect them yourself from the boulangerie at Gouarec! Our pool is about 36 feet by 15 feet by 4 feet deep. It has wide shallow Roman steps leading down into the main swimming area. These steps are ideal for toddlers and small children to paddle and play in the warm water. It is surrounded by a paved area which is itself surrounded by lawns screened by shrubs and trees for your privacy. There are plenty of sun loungers, chairs, tables and parasols set around the pool. There are also lots of inflatables to play with in the pool as well as a separate small inflatable paddling pool for babies. The pool is open from early May to late September. So why not come and visit us here in Brittany? What are you waiting for? "The service you provided was excellent and you always went the extra mile to help us where you could. The gite had everything we could have needed and was very clean and comfortable and worked well for us when we shared with our friends (9 in total) and when we were on our own (down to 4!). The swimming pool is safe, large and warm and was kept lovely and clean as the children spent days playing in and out of the pool. We are looking forward to coming back and seeing you all again soon!" "Breathtaking scenery, friendly atmosphere, very relaxing, almost like stepping back in time - so stress free"
"Lovely relaxing holiday despite a toddler and a baby! Nice accommodation, superb swimming pool and very friendly hosts. Beautiful area with so many little lanes to explore - and we must have done most of them!" "Thank you so much for making us feel very welcome. It was so nice at the end of a long journey to arrive and find that we had butter and milk in the fridge and bread and wine. It's little things like that, that make all the difference. You both obviously care a lot about making people feel at home. We have all had a very enjoyable holiday and we have discovered another area of France not explored before. Thank you again"
"We have thoroughly enjoyed staying in your house. 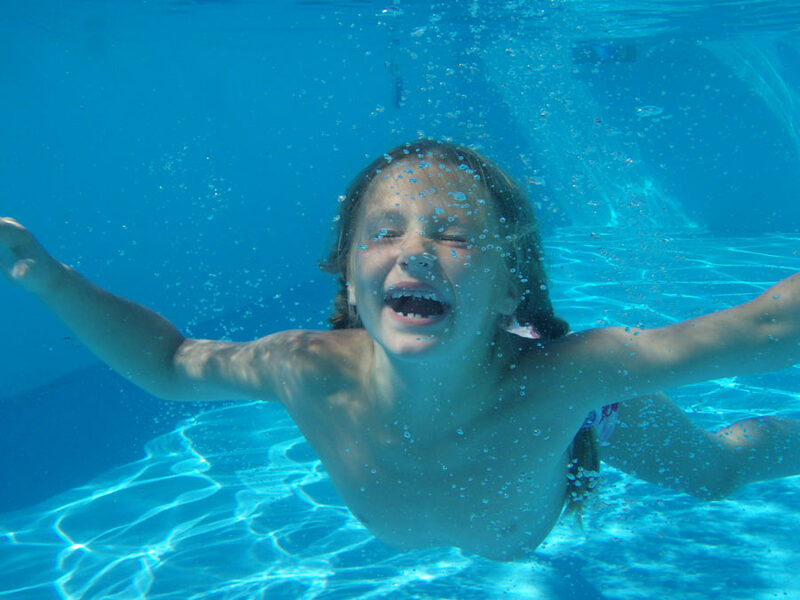 It has everything we wanted or needed and the pool has been a superb entertainment for the children (and a very pleasurable experience for the adults). You have both been the most welcoming and helpful hosts." "Had a great week - cycling by the canal and lake. kayaking, bbq-ing and relaxing by the lovely warm pool. Lovely gite, lovely area and great hosts... thanks for a great holiday." "After a late start and arriving in pouring rain the days and weeks got only better. The area is great, the lake is very nice. Cycling and walking along the canal and old railway line was fun. The kids enjoyed playing outside and in the pool. The seaside, waves, rockpooling and climbing - what more do you need? Thanks very much, we had a great time." "We have had a super week here - we have enjoyed the house, pool and surroundings and feel as though we have had a proper holiday (not always the case with 5 children!) This is a delightful spot, a part of France we've not visited before, and we have had lots of lovely days out." "We have had a fantastic 2 weeks so thank you for being such good hosts... Visit to the Sunday Bon Repos Market was great. Cycling and canoeing from Gourec camp site both excellent and great fun! Visit Pontivy - pleasant town, great chateau. Carnac has a beautiful beach with fab rock pools." "What a lovely relaxing welcoming place to stay. The accommodation is delightful and the pool a real asset especially for the children. Highlights: a fabulous day with a cloudless sky at Les Rosaires; swimming in the lake; dinner at the Abbey. Thank you for a lovely holiday." "We had a great time in Brittany - everything we needed, especially for the kids was provided. The pool is a great facility, the area is really beautiful and quiet. We had a really relaxing time - no pressure." "After a long journey it was a welcoming sight to see Les Rossignols. What a fantstic place. Our week was very enjoyable and we now have water babies for children, the pool was a big hit with them. Beautiful area, only wish we had another week here. Many thanks." "Fantastic holiday ... would recommend a visit to Pontivy, the shopping street, cafes and castle. Châteauneuf-du-Faou is also nearby and a beautiful walk by the river. Canoes and cycles are available for hire. A 'must' is a walk or cycle down the Nantes-Brest canal in either direction! The scenery is stunning. A massive thank you for making us so comfortable and welcome. We would definitely recommend one of your 'eat-in' meals. Brilliant when you have young children - the two we had made our holiday. The pool speaks for itself!" "Beautiful weather and a beautiful area. Far too much local cider, wine and brie! The pool is great and kept our boys happy for hours. Enjoyed local markets, fetes, fireworks, the Abbey, fishing, the beach, canoeing and being able to watch the Ashes." "Wonderful week! Such a beautiful setting, the gardens, particularly fabulous location to explore Brittany from. Even with a little rain we spent most of our time outdoors. Pool was fab - warm enough to swim every day, though sometimes a BIT cold getting out!! Absolutely the highlight of our stay was the warmth of Pauline & Geof's hospitality - the daily cakes, the bread delivery, and babysitting - thankyou so much - the (essential) larder with our fresh daily eggs - quite above and beyond. And we can't not mention the hens - Flora's best friend in the world, Fifi, was a constant source of entertainment - awesome! Will recommend lots and be back with more (one more!) children! x "
"We have had a great time. Lovely area and nice local walks. Hosts very informative and friendly. Stopped here at the same time as my sister and her family next door. Both families enjoyed the stay immensely. " The Danson family, Staffs - "PS - liked the welcoming wine, etc, left by the hosts, very nice touch!" French breakfast basket delivered to your door - free on the first day! Children's play barn with soft ball play pool, rocking horse, games, table and chairs, etc.